200Mbps Homeplug Powerline Ethernet adapter, compliant with HomePlug AV specification 1.1 and has a high speed transfer rate of up to 200 Mbps. The power line Ethernet adapters 128-Bit encryption with key management. A minimum of two Adapters are needed and more can be added as the network grows. Homeplug adapters do not work with HDMI over Ethernet extenders as they require dedicated cables. 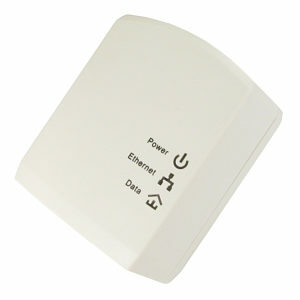 High-Speed Powerline adapter with Ethernet interface for fast data transfer over existing household electrical circuit.